The chalice of First World War chaplain, Father James Joseph McMenamin, was handed over to the New Zealand Defence Force (NZDF) chaplains during a Mass at Sacred Heart Church, Petone on Sunday 21 May at 9.30am. The NZDF will take the chalice to Belgium where it will be used in services in Nieppe and Mesen/Messines as part of the commemorations marking the centenary of New Zealand’s involvement in the Battle of Messines. Members of the Lower Hutt Catholic community will travel to Belgium and attend the New Zealand commemorations and the commemorative services for Friar McMenamin. 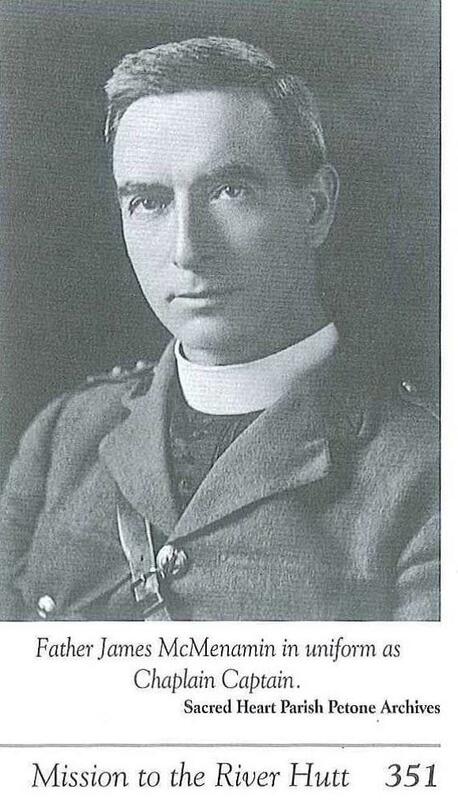 Father McMenamin, a New Zealand Expeditionary Force Catholic chaplain and Parish Priest of Sacred Heart, was killed while conducting battlefield burials near Messines on 8 June 1917. His chalice, a gift from the Petone parish, was returned to Sacred Heart Church in Petone, Lower Hutt. The chalice has been used during services ever since. A graveside service will take place at Nieppe Communal Cemetery at 4.00pm on 8 June in Nieppe, Belgium, followed by a Mass for Father McMenamin in St Nicholas’ Church, Mesen/Messines at 7.30pm. New Zealand will mark its involvement in the Battle of Messines with two services on 7 June 2017. The National Commemorative Service will take place at Messines Ridge British Cemetery at 8.00am and the Sunset Ceremony will take place at the New Zealand Battlefield Memorial at 7.30pm. The New Zealand Defence Force will also take part in the Menin Gate Last Post ceremony in Ieper at 8pm on 6 June.